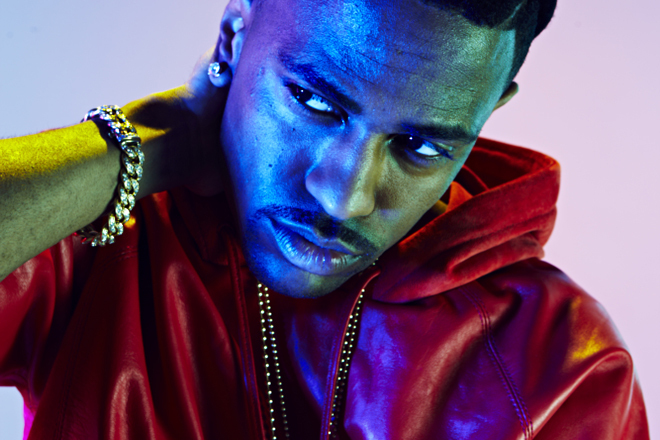 Detroit rapper Big Sean announced on Monday that he has officially launched, Aura Gold, his fashion and lifestyle label. The artist will serve as creative director of the line and unveil the label's Fall 2013 offerings, themed The Black Collection, today at ProjectMVMNT, a tradeshow dedicated to "up-and-coming trendsetters" held at the Mandalay Bay in Las Vegas. The show is known for featuring streetwear brands like Black Scale, Undefeated, Nicky Diamonds and IMKING. “Launching my own label is a dream come true for me. Even though I have a lot to learn about fashion and the industry, I do know what I like and the small details that make something stand out to me.” Big Sean adds, “I look forward to evolving the line with more colors, fabrications and offerings to show the other dimensions of my style progression over time.” The Black Collection in particular focuses on black and monotone colors of heather grey and charcoal with the line having diversified itself into a more classic and sophisticated collection. After a positive soft launch on Karmaloop.com, the line expanded to include outerwear, bottoms and crew necks. Average retail price points start at $30 for tees and upwards to $135 for outerwear. When he's not behind the drawing board, Big Sean has been actively working on his sophomore album Hall of Fame to be released this spring.